A couple of weeks ago, I was invited in to the Estée Lauder head offices in Mayfair to enjoy a morning of ultimate relaxation and pampering. 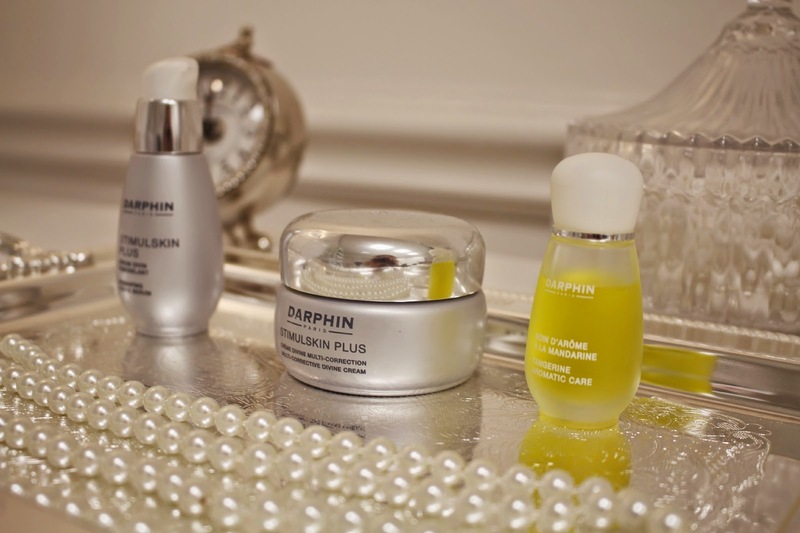 Having already fallen in love with the Darphin brand (you can read about my conversion to their skincare routine here) I had high expectations for my facial treatment – and it couldn’t have come at a better time! 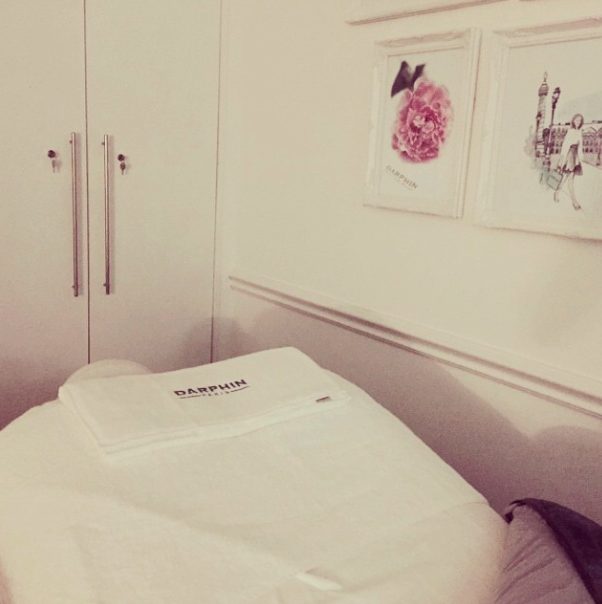 I was greeted by Darphin’s National Education Manager, Emma, and led to the company’s training room which had been transformed into a relaxing oasis away from the busy office ready for the treatment. 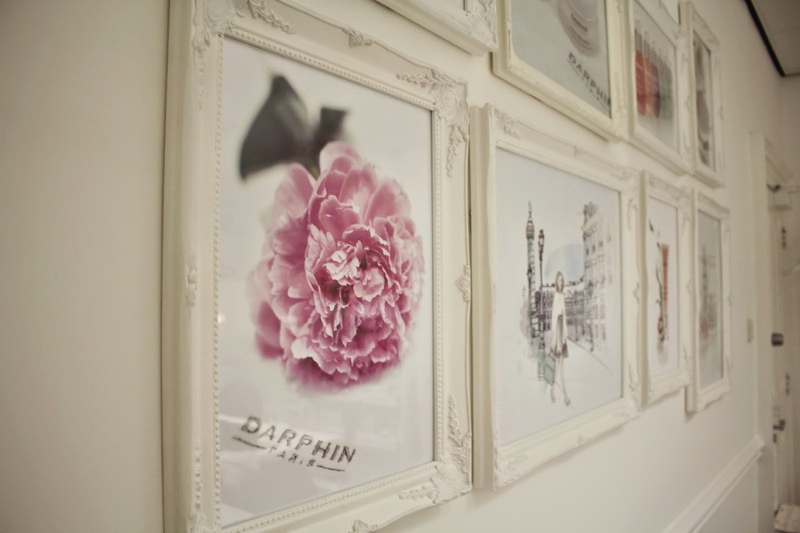 Each Darphin facial is specially tailored to your skin type, you can choose from a ‘menu’ depending which spa you visit, but the treatment will always start with a thorough consultation where your therapist will ask about your current skincare routine, any problems or concerns you have, and ways in which you hope to improve your skin. Emma then analysed my skin with makeup still on – she explained that it’s surprising what you can tell by how the skin reacts to makeup, you can tell a lot about hydration levels in particular, and skin is often just a little agitated after makeup is removed so she always starts the consultation with your makeup still on. After deciding on the Ideal Resource Line Polish Revitalizing Facial, I snuggled into the (ridiculously comfy and warm) treatment bed, had a mini foot massage and tried not to doze off as Emma removed my makeup. She had already explained each stage of the facial to me so that I’d have an idea as to what was next, and the benefits of each stage – I found this really improved my facial experience as I love to know which products and ingredients are being used and the unique benefits that they each have for my skin type. The massage facial had several different stages – each one more relaxing than the next. I’ve not had a huge amount of facials before but can hand on heart say that the Darphin one was the most relaxing and enjoyable one EVER. The products used are heavenly, both in fragrance, texture and results – and Emma’s technique of Deep Tissue Massage while applying the products promotes skin rejuvenation and energises the facial muscles. The 180 degrees technique works to stimulate every inch of the face and neckline, as well as of course ultimate relaxation. One of my favourite stages of the treatment was when Emma applied a sort of mud mask – starting off as a powder which turned into a paste when she added liquid, a mask was applied to my face (it was rather chilly!!) then allowed to set for around 15 minutes while I enjoyed a lovely hand and arm massage. I could feel the mask tightening on my face and the texture changed to what I can only describe as like a stiff rubbery mask. When Emma peeled it off, it almost felt as though the toxins were being drawn out of my pores and my face felt instant lighter, fresher and intensely clean. 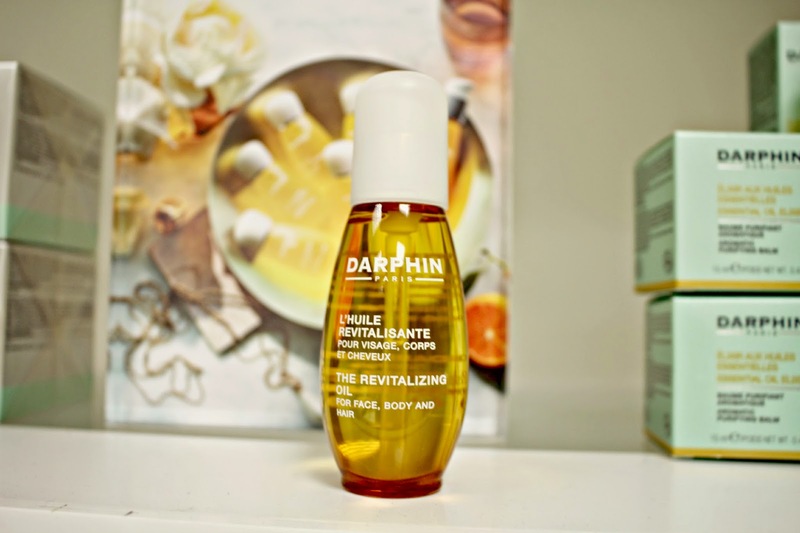 Finishing with some expertly chosen intensely nourishing moisturising balms, Emma also talked me through the Darphin products which are best suited to my skin type. This was in no way a sales pitch, but rather just to inform you about which ingredients will work best for your skin, and why. In my sleepy daze, I emerged from the treatment room with a new-found radiance to my skin, and in a state of bliss after the super-relaxing treatment. My skin remained calm and glowing for well over a week after the treatment (despite two long haul flights!) and I’ve been maintaining the glow with the Ideal Resource collection, some of which I will be reviewing very soon! So as you can tell from my glowing face review, I adored this experience and have been telling everyone that will listen that they have to book themselves in. Darphin facials are available in spas across the country; you can find your nearest one here. Have you ever had a fabulous facial experience?